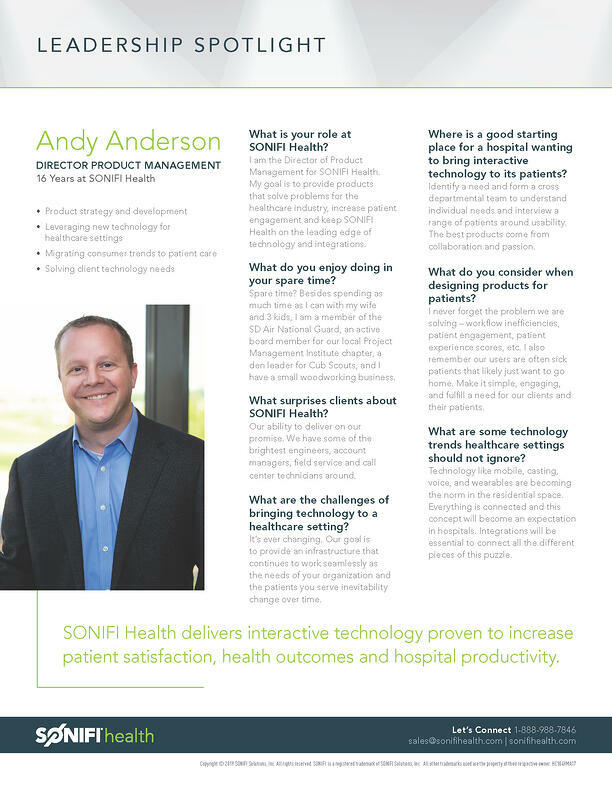 Meet Andy Anderson, our Director of Product Management. He leads product strategy and development by leveraging new technology for the healthcare setting. SONIFI Health delivers interactive patient engagement applications through the TV or tablet that encourage active patient participation along the continuum of care to promote healthy lifestyle choices and improved patient outcomes.